Our on-shore facility, the Wreck Room is available for reservation. It is located adjacent to the marina with spectacular views of the bay and the Olympic mountains. The Wreck Room includes a well stocked, member run bar with beer, wine, and cocktails. The facility does not have kitchen facilities. The Wreck Room has a large sunny deck overlooking Port Ludlow Bay and the marina. The deck has wind protection and four large gas grills for outdoor cooking. The Wreck Room is open from 5:00 pm until 8:00 pm on Wednesdays and Saturdays for members, their guests, and visiting yacht club members. The Wreck Room is available for private reservation at other times. A completed “Wreck Room Facility Rental Request” form (please download below) must be submitted by mail or in person at the Wreck Room no less than two weeks prior to the event. The Wreck Room is not available during PLYC open hours for members or other scheduled PLYC events. You are welcome to join us during our regular Wednesday and Saturday hours, but please contact us using the Information Request Form on this web site to verify if this is feasible. 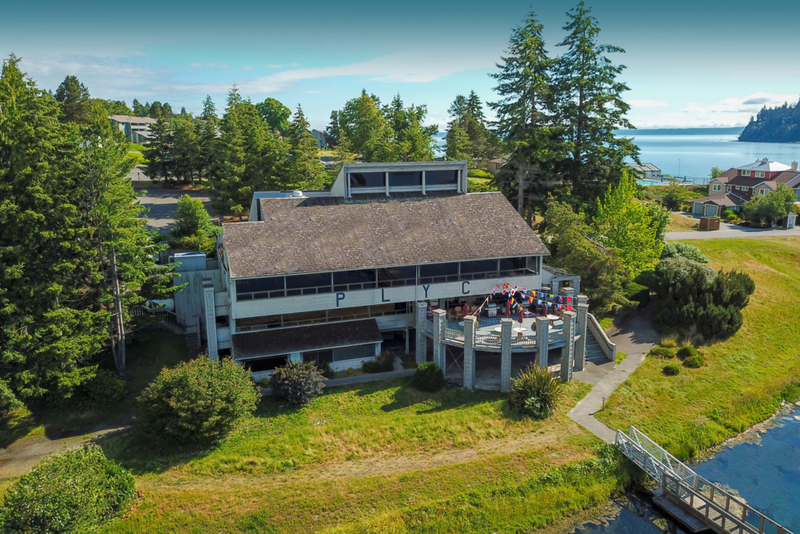 Thank you for your interest in Membership in the Port Ludlow Yacht Club. All Wreck Room activities are run by PLYC member volunteers. The sponsoring member(s) must be present for the entire function and assist in the preparation and close out of the event. If food is served, PLYC volunteer staff should receive complimentary food during the event. Leave the Wreck Room in a presentable manner following the event. Use of the Wreck Room is for PLYC members, their guests, and members of reciprocal yacht clubs, and persons who are in good standing of other yacht clubs licensed as private fraternal clubs. PLYC members, their guests, and reciprocal yacht club members using the Wreck Room must present their membership card and sign in upon entering. All alcohol must be purchased from the Port Ludlow Yacht Club bar in the Wreck Room. Persons under 21 years of age are permitted in the Wreck Room if accompanied by a PLYC member, an invitee of a member, or a reciprocal club member. Those under 21 may not consume any alcohol and shall observe signage that restricts them from the immediate vicinity of the bar.